Entries are invited for the University English Book Prize, awarded annually for the best scholarly book by an early-career academic working in an English department affiliated to University English. The 2018 prize will cover books with a 2017 date of publication. Eligible books include monographs, scholarly editions, and textbooks in all areas of English studies, including language and linguistics. Creative writing, translations, and bibliographies are not eligible. Submitted books should be first books written by early-career researchers (including part-time staff). 1) originality: a significant contribution to understanding and knowledge of a field in English studies. 2) significance: the timeliness of the work and its importance for the community of researchers and teachers. 3) rigour: qualities such as intellectual scope, methodological precision and depth of scholarship. The prize is worth £200 and the author of the winning entry will, where possible, be invited to deliver a research paper at either the conference of the European Society for the Study of English (ESSE) or at an Annual General Meeting of University English. Submissions may be made either by Heads of Department or directly by individuals from any department affiliated to University English; there is no limit to the numbers of volumes that may be submitted, but departments must be current affiliates of University English. Entries are accepted in hard copy or electronically. For hard copy submissions, we require TWO copies of the book to be sent to the address below or submitted at the University English AGM in London on 8 December 2018. Alternatively, e-books (preferably in PDF format) can be submitted by email. We regret that it is not possible to return hard copies. The prize-winner will be announced at the University English Annual General Meeting in 2019. Shortlisted authors will be notified via Heads of Department approximately two weeks before this, and the shortlist published on the University English website. This is an intriguing study which compares Kipling and Yeats in the formative phase of their careers, charting mutual echoes in their poetry and political rhetoric to establish shared concerns. The judges found it an extremely thoughtful piece of work, individually insightful on different aspects of Yeats and Kipling, but also doing something different with the comparative account of the two authors within a literary field. The author is ingenuously aware of the difficulty of what he has taken on, and the experiment is cleverly and consistently pursued with repeated success. The points of linkage – childhood, Wordsworthianism, decadence, relationships with ‘home’, the interest in folklore – are illuminatingly taken up in turn; and the sense of an encompassing networked London literary world is evoked very successfully. The judges found it a striking and stylish piece of writing. This is a study of what Richardson said in his letters and how he managed himself as a letter writer. His self-characterisation as ‘an undesigning scribbler’ is obviously a kind of bluff, and Curran’s new study says many interesting things about his conscious self-fashioning. The conflict between plainness and elevation in the letters of the developing text of Pamela is well-observed, and the book’s detailed account of Richardson’s long correspondence with Lady Bradshaigh expertly highlights his recurring interest in public and private selves. The judges found it a very informative, well-researched, study which will be a mine of information for other readers and critics. The book is structured round close cultural readings of key 9/11 texts, including works by Jay McInerney, Don DeLillo, Jonathan Safran Foer, Ian McEwan, and Amy Waldman. What makes it distinct is its sensitive and agile understanding of how journalism and fiction interact, react, and play off against each other, providing an historic, thematic, formalist and geographical response to 9/11. The book contains meticulous personal testimony and original interviews with authors from Rowan Williams, Ian McEwan, Paul Auster and Kamila Shamsie amongst others, creating a remarkable journalistic archive of personal correspondence with these international authors in relation to 9/11. It crosses the territories between literary analysis and journalism. The judges were impressed by the depth of its ethical questioning, and the poise of its execution. This original study focuses on adolescent girlhood in a range of central but often lesser-known authors of the late nineteenth century, and contributes considerable nuance and insight to studies of youth, of children’s literature (especially the girls’ school story), and of print culture. Work undertaken on periodicals is particularly original in allowing the voices of readers (most notably letter-writers in girls’ magazines) as well as authors to shape the argument. Bringing together fin-de-siècle periodicals and short stories with writers from Olive Schreiner to Sarah Grand, it is commendable for its detail and depth. There were twelve entries for the 2016 University English Book Prize. As the comments below on the shortlisted books suggest, the judges found each of them excellent. However they were unanimous in their decision to award the prize to Vidyan Ravinthiran for Elizabeth Bishop’s Prosaic. William Wootten‘s THE ALVAREZ GENERATION: THOM GUNN, GEOFFREY HILL, TED HUGHES, SYLVIA PLATH, AND PETER PORTER (Liverpool) is a brilliantly comprehensive portrait of a literary generation, drawn from a new angle. The book covers something of the same territory as Blake Morrison’s The Movement, but puts a fresh and original emphasis on several key writers, and tracks strikingly new paths: it is a remarkable and original account of literary interrelationship, both poetic and critical. William Wootten writes with great style, with wit and critical elegance, and his book stands as an immensely suggestive re-interpretation of a great period in post-War British literary culture. Rachel Willie‘s STAGING THE REVOLUTION: DRAMA, REVINVENTION, AND HISTORY 1647-72 (Manchester) is a truly remarkable contribution to our understanding of interregnum and post-Restoration theatre. Its central argument — that the drama across the period is marked by striking continuities as well as disruptions — is sustained with a deeply impressive scholarly command; and the sheer range of reference, both primary and secondary, is exceptional. Any easy assumptions we might have entertained about the relationship between republican culture and theatrical practice are authoritatively overturned, and the study gives the great satisfaction of returning us from a broad idea of historical change to the much greater real complexity that happened at the time. Mary L. Shannon‘s DICKENS, REYNOLDS, AND MAYHEW ON WELLINGTON STREET (Ashgate) is a cornucopia of a book, a rich, diverse, multifarious evocation of a London street that sat at the heart of Victorian literary life. It has something of the multitudinousness excitement of a Dickens novel, full of the energy and life of the time. The amount of detail in the book is immense, absorbing, and lovingly orchestrated; and the intricate networks of connection between diverse aspects of the thriving periodical culture of the time are traced with vivid colour and meticulous particularity. Vidyan Ravinthiran‘s ELIZABETH BISHOP’S PROSAIC (Rutgers) is a dazzling study of the formal life of the prose of one of the greatest writers of the modern period — her essays, prose poems, and letters. 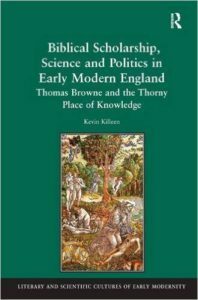 The book establishes a way of analysing the rhythms of prose in a way which will be exemplary for other scholars of the subject, exploring the minutiae of Bishop’s practice with memorably impressive insight and tact. This is a book which effectively discovers a new subject for critical and scholarly enquiry and describes its flexible and responsive genius with remarkable success. The judges thought this study of the significance and nuances of physical pain in Romantic writing absolutely arresting. With chapters on Bentham, Sade, Coleridge, Percy Shelley, and a wider-ranging attention to Romantic-Period and modern secondary literature, this is a concentrated, stylish, consistently clever book. 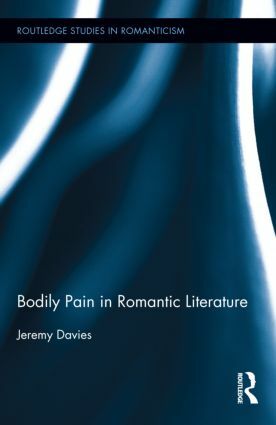 It is very well-read in all the contexts informing the articulation of pain in the Romantic Period, and wears this learning lightly, so that it doesn’t overwhelm the primarily literary-critical focus. That’s difficult to do with such an intriguing topic, and with chapters on Bentham and torture and Sadean libertinism; and finding something new and interesting to say about Hartley and Coleridge struck the judges as little short of impossible. Jeremy Davies’ account of what he calls “Coleridge’s enthusiasm for the way in which pain made him philosophise” (page 110) is a good snapshot of the quality of this book. The critical intelligence on display in this book is of a very high order: it makes us think afresh about a preoccupation with bodily pain which many writers might want to contextualize, but which this book makes fully textual. This is a book which opens up an archive for Donne scholarship and more generally for the study of early seventeenth-century works. The judges thought it an extremely impressive work of textual scholarship and literary history. It deals with a particular archive of manuscript material in intense and comprehensive detail, prising out new information about how manuscripts circulated and how readership circles operated. One judge said: ‘He has done a remarkable amount of work on some absurdly difficult ms materials, and he has found, synthesised and assessed a wealth of new discoveries – about ms circulation, about early modern book and ms collecting, about early modern women writers, and above all about John Donne.’ The book looks in minute detail at its MS archive and is very comprehensive, setting the material evidence both in its immediate context and in a more broadly historical one. It is also very readable, and its later chapters expand on ideas of circulation, patronage, and readership beyond its immediate focus. This erudite, wide-ranging, intellectually ambitious work makes a significant contribution not only to Coetzee studies but also to Postcolonialist studies and contemporary fiction studies more broadly. As one judge commented, ‘Coetzee critics are an intelligent crowd and Jarad Zimbler should be commended for adding another dimension to Coetzee studies in his claim for form as a defining element of political writing’. It’s extremely assured in terms of its knowledge base (ranging from primary [including manuscript] sources of South African fiction and non-fiction and existing literary criticism, through linguistic and narratological methods to historical and political contexts). 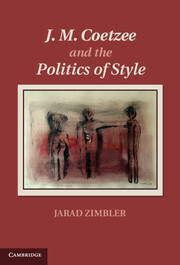 The insistent but unforced attention to what Zimbler calls ‘those subtle shifts in tense and tone, vocabulary and register’ in order to make visible ‘a politics of style’ will inform other literary critics grappling with how not to reduce the aesthetic qualities that help constitute politically-charged writings both within and beyond postcolonial studies. 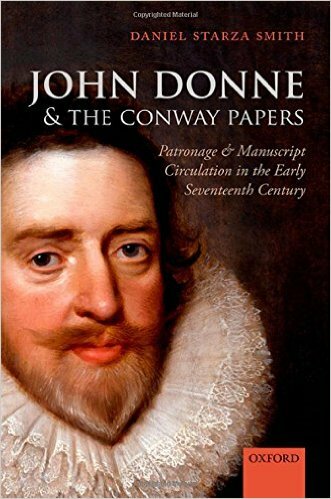 The winner from this exceptional shortlist is Daniel Starza Smith, John Donne and the Conway Papers. This is a work of hugely impressive scholarship which opens up new resources for future scholars: a ground-breaking book which redefines its field. 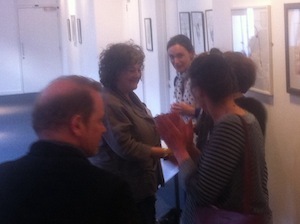 The three shortlisted volumes were drawn from a strong set of entries. The excellent research published over the past year by early career colleagues is a good indicator of the health of the discipline of English. The three shortlisted volumes also represent something of the historical breadth and increasingly international reach of current of scholarship in English. They comprise a study of 16thc prison literature, an examination of authorial practices of revision from the modernist period, and an analysis of two writers who, under exile from Nazism, wrote in the English language rather than in their native German. This last volume, Tamar Steinitz’s Translingual Identities and the self in Stefan Heym and Jokov Lind (published by Camden House) speaks to a growing interest within literary studies in translations of all kinds, illuminating the personal and ideological effects of crossing linguistic and cultural boundaries. Through her study of these two authors, one an exile from Nazi Germany, the other from Austria, Tamar Steinitz offers a very timely historical perspective on literary translingualism. Translingual Identities impressed the book prize judges as a detailed, scholarly and well-written book whose author ably deploys her familiarity with other languages and literary traditions to support her evaluation of work in English that draws on other languages and cultures. Meanwhile, Ruth Ahnert’s book, The Rise of Prison Literature in the Sixteenth Century (CUP) also speaks to a recent swell of interest in literary studies in prison writing in several periods. It covers an exceptionally wide range of materials and will be a vital resource for anyone interested in prison writing in the 16thc – or indeed other periods: one of its achievements is that it nicely situates the 16thc in relation to current concerns such as Guantanamo Bay. Lucid and engaging, The Rise of Prison Literature in the Sixteenth Century also impressed the prize judges as an excellent first book. Hannah Sullivan’s book, The Work of Revision (Harvard University Press), examines changing attitudes to the authorial work of revision, arguing for the crucial role of modernism in valorising the act of rewriting, and the extent to which this reshaped literary style. Her study shows not only that modernist writers had a unique taste for revising their work, but that this shift was prompted by practical changes in proofing and typesetting alongside aesthetic concerns about perfection, difficulty, and efficiency. 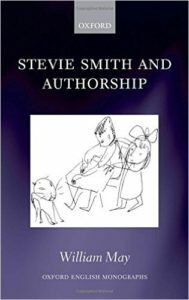 Sullivan links modernist theories of production and consumption to genetic criticism, English as a university discipline, and contemporary creative practice to offer a deeply-researched and ground-breaking reappraisal of the period. The book prize judges were in agreement that The Work of Revision is an extraordinary book – let alone first book – and unanimous in awarding it the 2015 University English Early Careers Book Prize.